Make a business card in just a few hours. This requires a minimum knowledge of Internet technologies. So this website is quite possible to do yourself without having to contact a web Studio. Business card website is an informational online resource, consisting of a small number of pages. The main objective of the website is to provide visitors with information about the company or the individual. For example, it may be information about products or services, terms of cooperation, portfolio, contact details. If you are familiar with hypertext markup language — html, then your knowledge will be enough to make up a dozen simple and similar pages. As an alternative, you can use the ready templates. 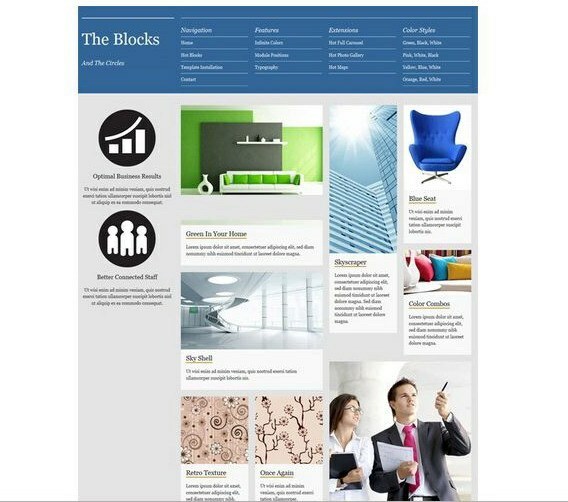 Website made in html, has several advantages over sites running on CMS. First, to embed several html pages you can use the cheapest hosting with minimal disk space, and without the support of php and mysql. Second, these sites harder to hack, because they do not have vulnerabilities. If necessary, an html website can be easily imported to a new host. The structure of the cards is quite simple. This is usually a standard set of pages: home, about company, services or products, prices, contacts, news, etc. All these pages can make a template. As for design, it should not be bright and energetic. It is better to adhere to the business style involves discreet colors and concise design. If you want the site to be functional, then do html is unlikely to succeed. A business card can be done on any engine (CMS). However, some engines are not only powerful features, but complicated interface. Therefore, the development work with the engine can take quite a long time. The simple CMS is WordPress and Joomla. You can download them from the official sites of developers is absolutely free (in English and in Russian variant). Also on the sites, you can find detailed instructions for installing and configuring the CMS. For installation you will need a hosting with php and mysql. After you install the engine, you can proceed to the design of the site. To start, you need a template. Free template download is also possible from the developer's website CMS (we are talking about WordPress and Joomla). The downloaded template is installed on the engine control panel. To do this, find the menu of the engine corresponding tab and specify the path to the folder where the template is stored on your computer. After installing the template, you can begin filling the pages of the website.